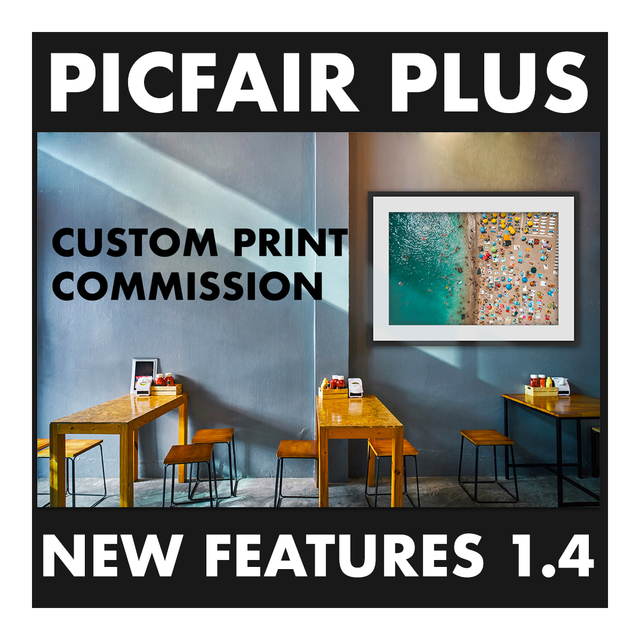 It's been another showstopping month here at Picfair, with thousands upon thousands of new Stores published by the Picfair community. 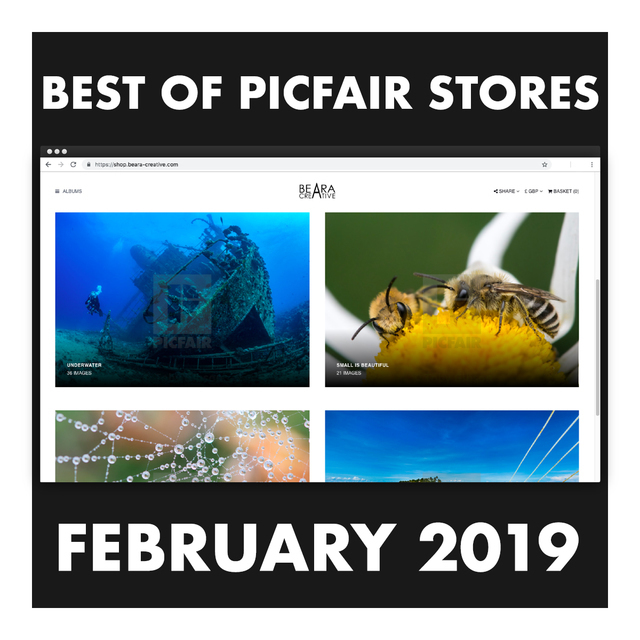 Once again, we're spellbound by their creativity and talent and we are thrilled to present to you our third, and latest, 'Best of Picfair Stores' showcase. 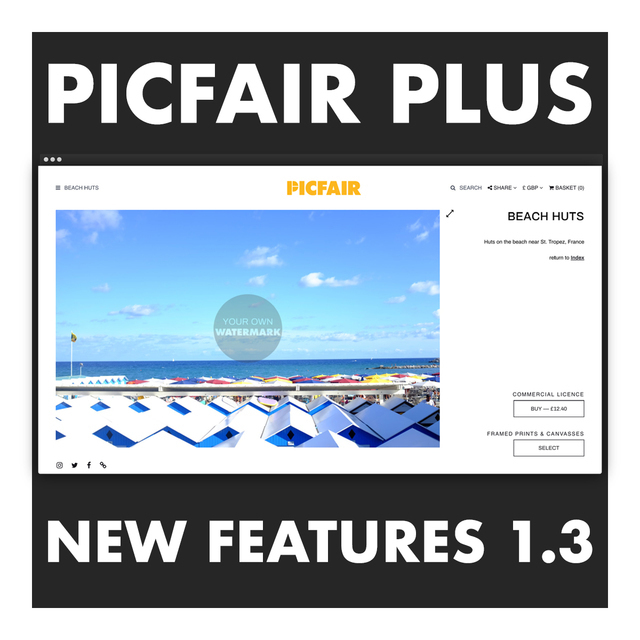 As the Stores and Plus platform continues to grow (stay tuned for the next Plus update: coming very soon) so does the variety of amazing Stores being created by our users, and those that make up our highlights this month are truly reflective of the diversity of the Picfair Stores community. 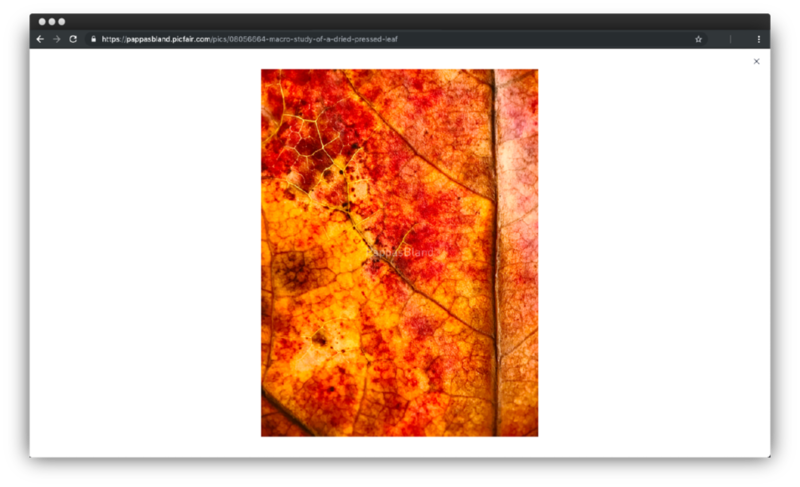 They include a curated series of 19th-century portraits, an in-depth body of work on forgotten Americana and a beautiful series of pressed-leaf macro observations, all customised and personalised using the range of features available with Picfair Plus: from custom logos and bios to welcome splash pages, personalised watermarks, domains, and much, much more. Massive congratulations to all those included in the showcase! We can't wait to see many more amazing Stores published over the coming month! 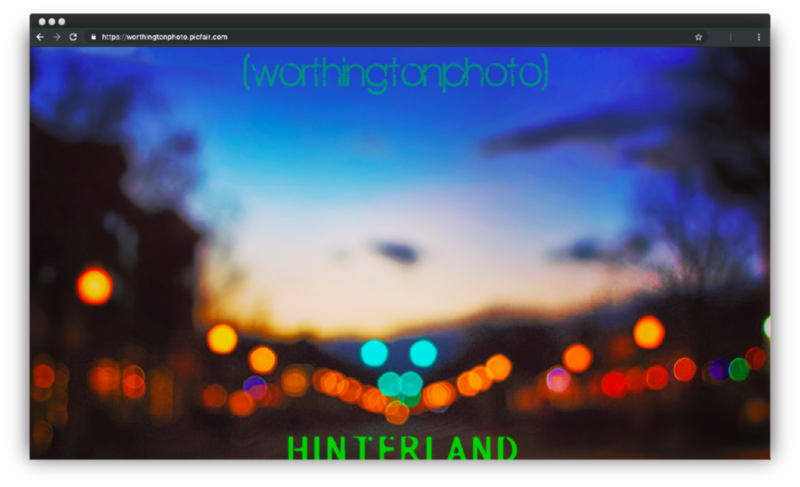 Picfair member, worthingtonphoto, presents the fascinating body of work, 'Hinterland' on his Picfair Store. 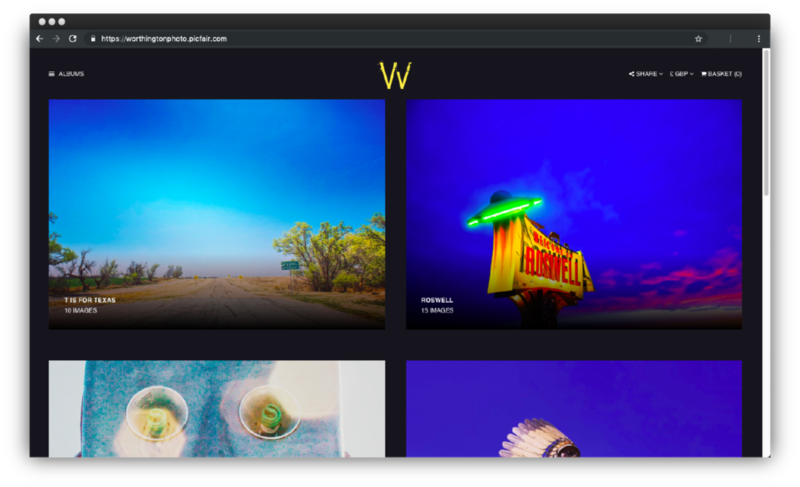 The series is an extensive collection of images from offbeat and forgotten corners of Americana, that are brought to life with a stylistic, vivid and surrealist colour palette. We love the image-only welcome splash page, which also displays the title of the series and immediately sets the mood for the Store, along with their imaginative custom logo donning neon colours, well-keeping with the theme! 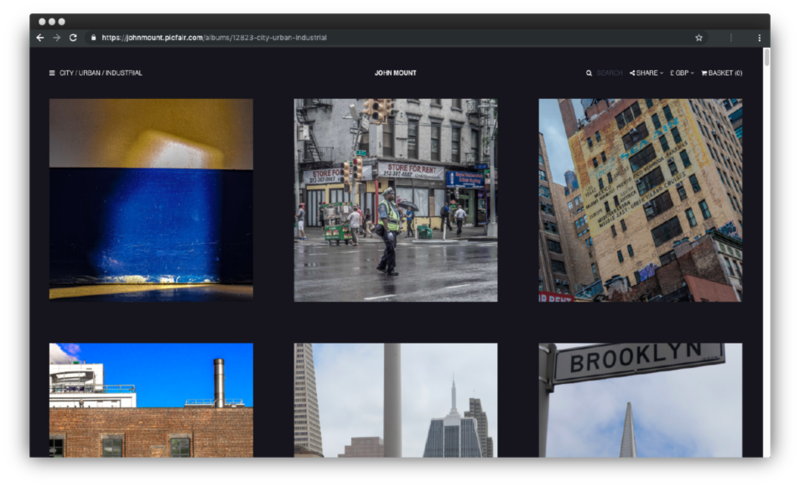 All images have also been thoughtfully curated into albums based on location and narrative, making the images a pleasure to discover. An absolute stunner! 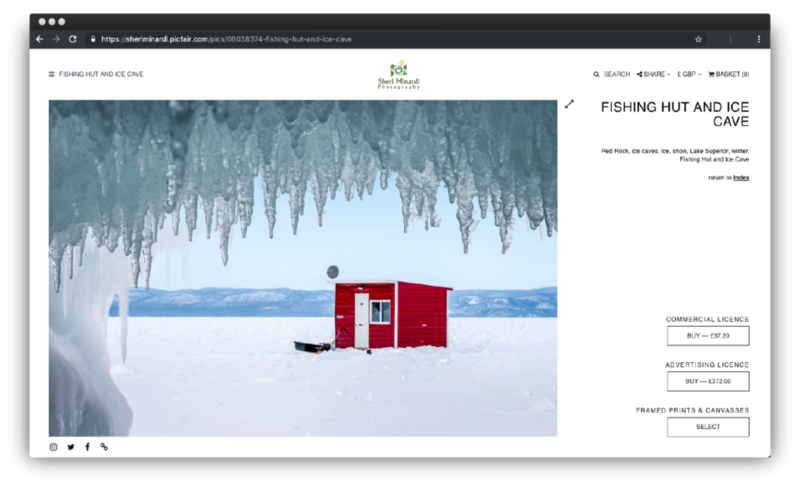 John Mount has done a great job at organising his images into albums, with over 20 carefully curated selections of images - for each one, choosing a prominent, striking shot for the cover image. 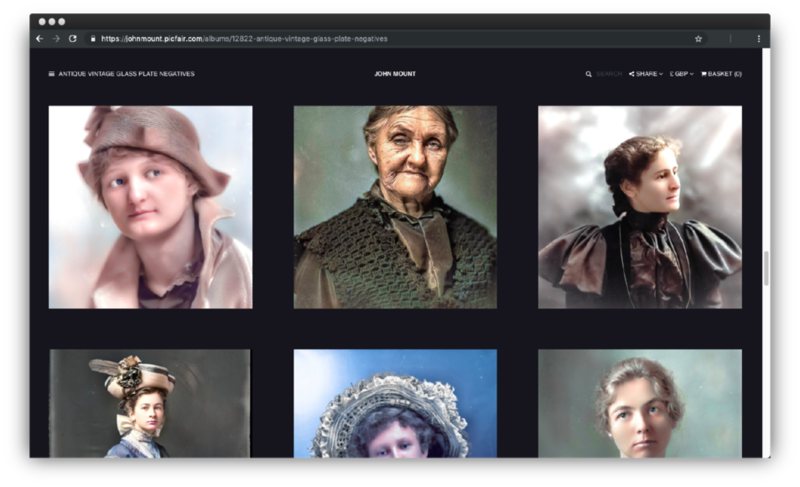 As well as stunning street photography, within John's collection of images, there are some fascinating 19th-century glass-plated portraits, and by way of making them available to licence and purchase on his Store, they have been given a new lease of life. The whole Store is also easily navigable with the use of the in-store search functionality. Great job John! 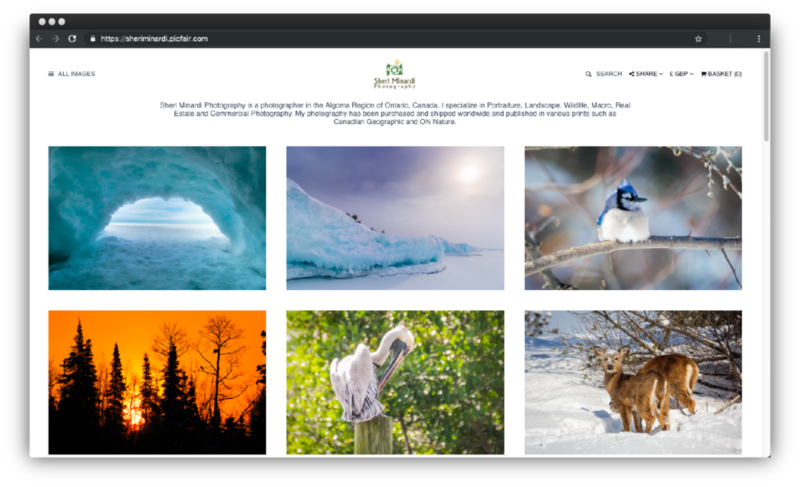 Sheri Minardi is a photographer based in the province of Ontario, Canada, who uses the province's vast wilderness landscape and abundance of wildlife as inspiration to make extraordinary photography. 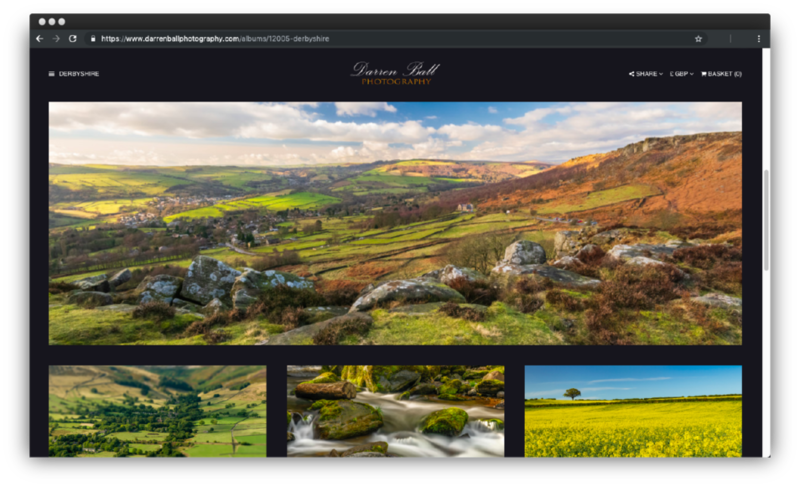 This is immediately evident when clicking through to her Store's homepage, which features a stunning range of themed images, which includes background information by way of the introductory bio text. We also love how Sheri has chosen to incorporate a logo with a bespoke design, but also use a secondary design for her custom watermark. 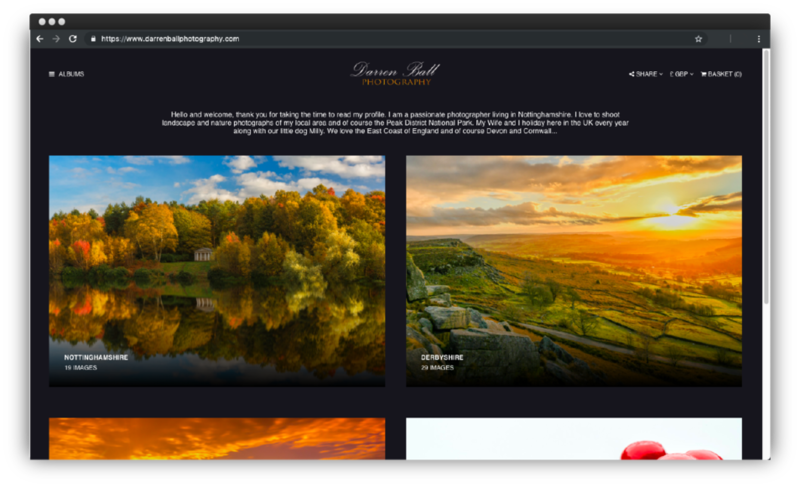 Charlie Ward is a photographer of over 35 years, with a passion for landscapes, cars and motorcycling. 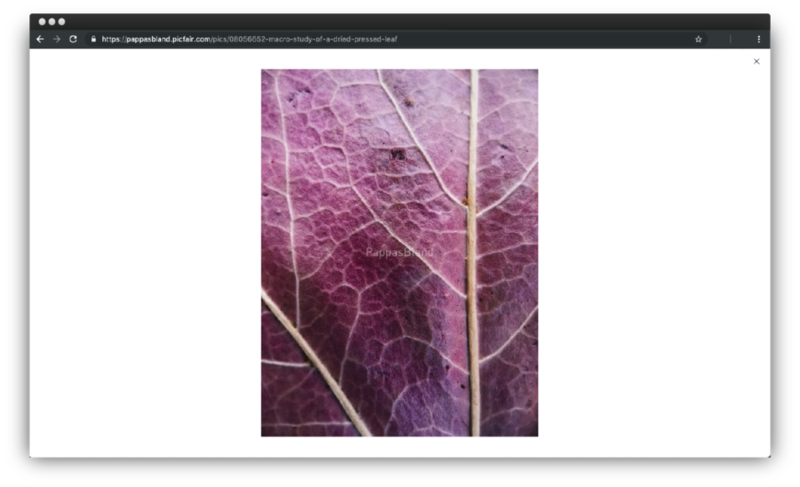 We can see this immediately with Charlie's beautifully-curated homepage showcase of images, looking fantastic in the square layout format. 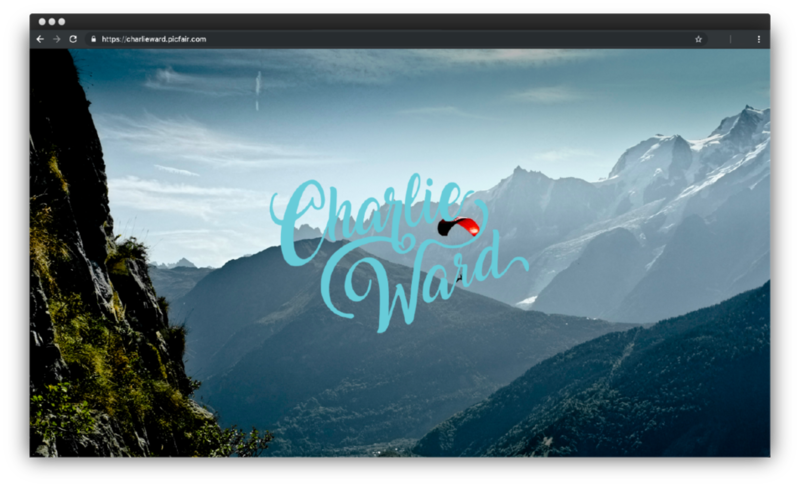 Charlie has also chosen a gorgeous logo which really stands out against the Store's 'light theme', which is also prominently displayed on his welcome splash page against a stunning image of a mountain backdrop. 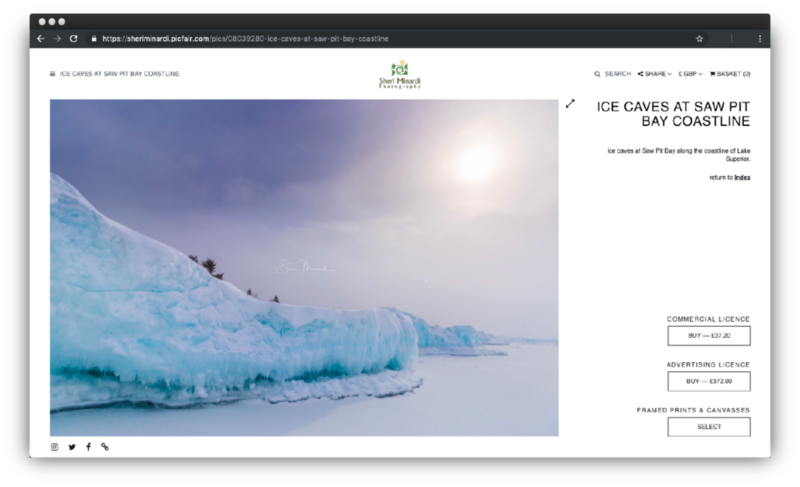 They have also chosen to use their custom logo for their watermark (learn how to convert your logo into a watermark here). 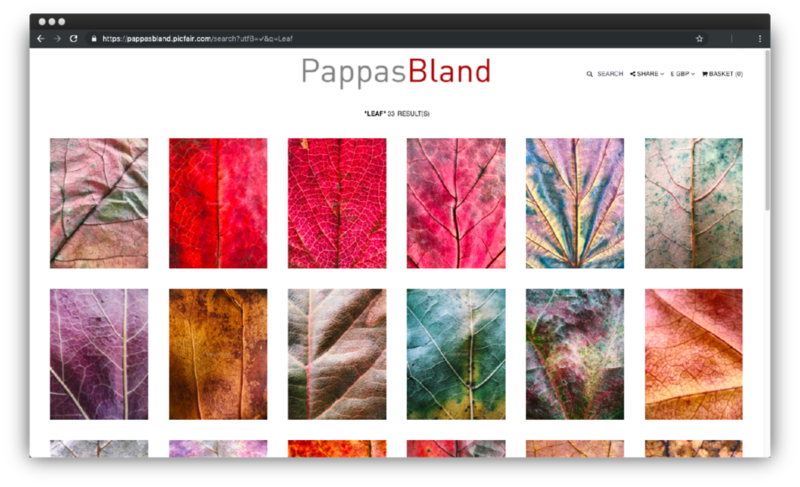 PappasBland is a photography collective from New Jersey, and we love how they have showcased their tightly-edited, and striking collection of pressed-leaf macro studies on their Store. 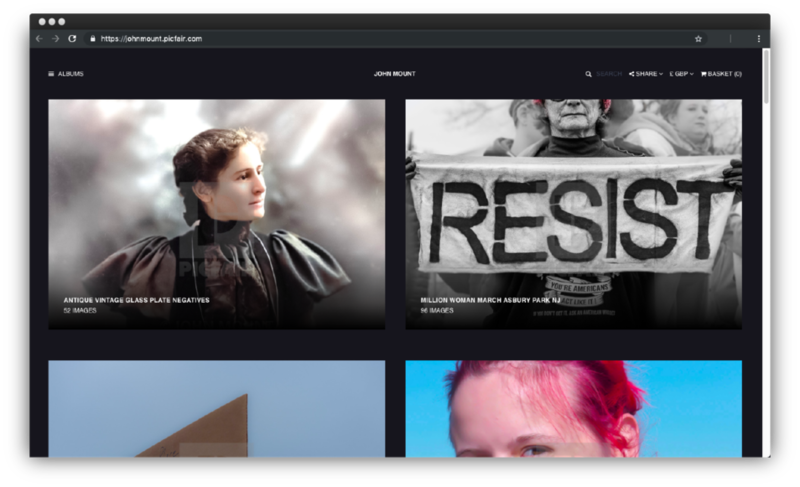 The uniform arrangement of portrait format, with the whole series displayed on the home page along with a fitting, minimalist logo works very well. 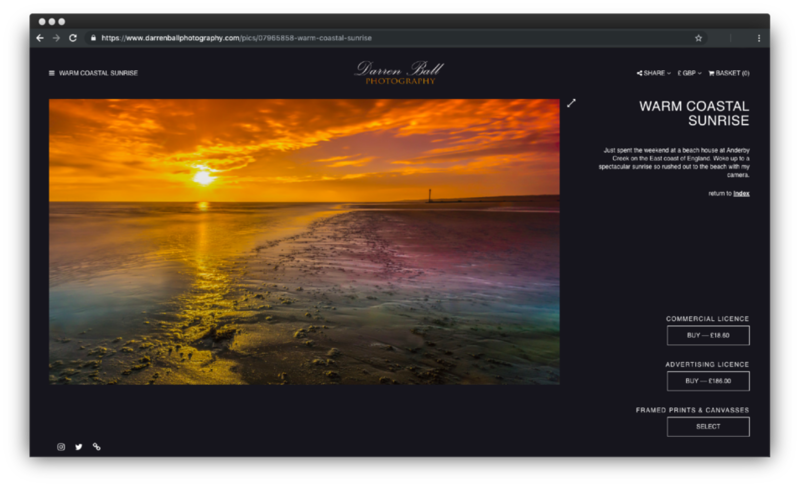 Darren Ball brings us a sublime collection of landscapes from across the British Isles, many of which have been photographed during the popular Golden Hour, and by showcasing his images using the dark theme for his Store, this really helps the vivid, warm tones in his images stand out. 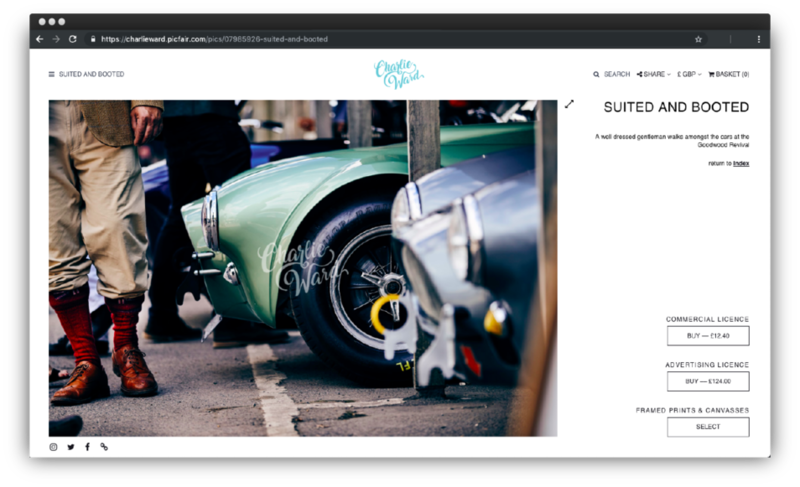 We also love Darren's stylistic handwritten logo, which perfectly complements the Store's overall colour palette, and by linking a custom domain of the same name, this further enhances his brand image. 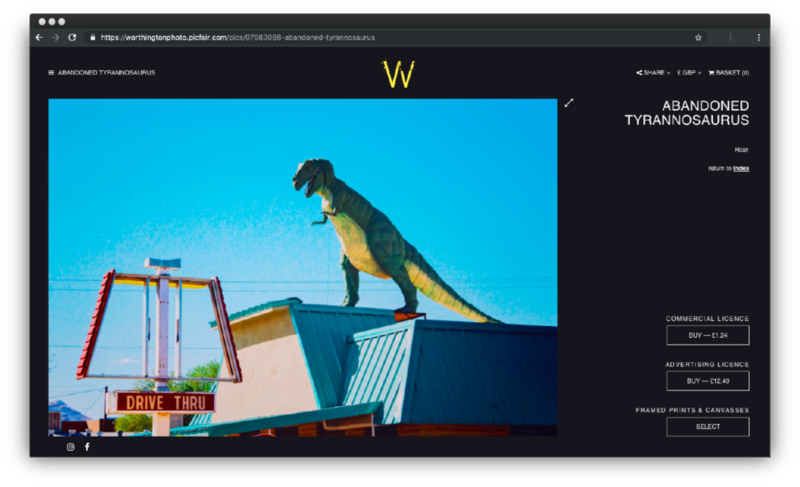 Plus users are also in full control of watermarks for their Store, and Darren has also chosen to remove watermarks altogether. Feeling inspired? 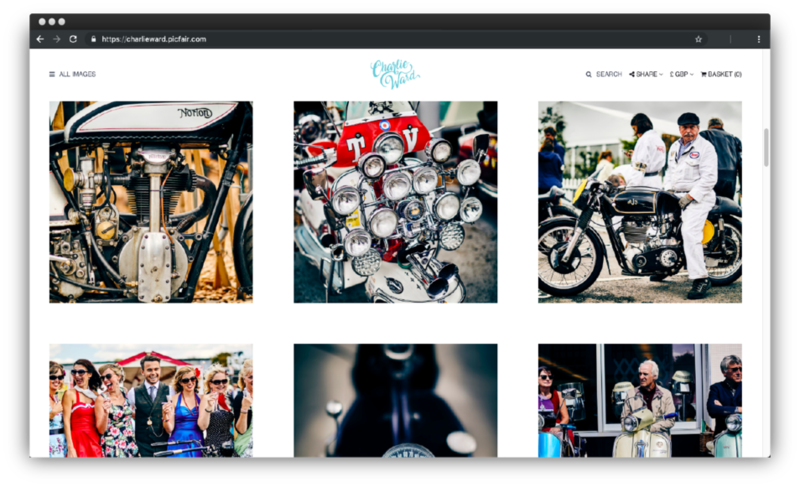 Start selling your own photography and set up your Store today!